4.17% of people buy Harry Potter Hufflepuff Sorting Hat Badge and Harry Potter - Hufflepuff Headband. 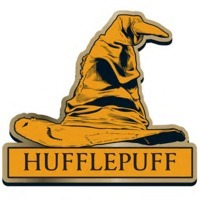 Wear your Hogwarts House with pride! This officially licensed Harry Potter Pin looks great on clothes, bags, pencil cases & pretty much anything!